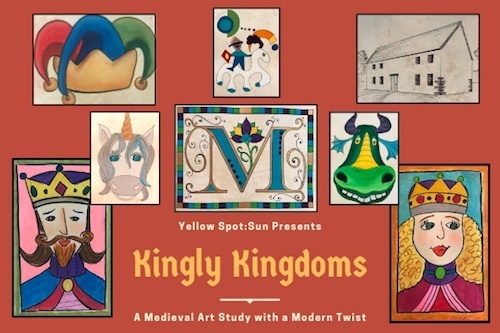 24 art lessons focusing on drawing and painting techniques inspired by the Medieval period with a modern twist; art images & art appreciation questions; practice with soft pastels and acrylic paints. 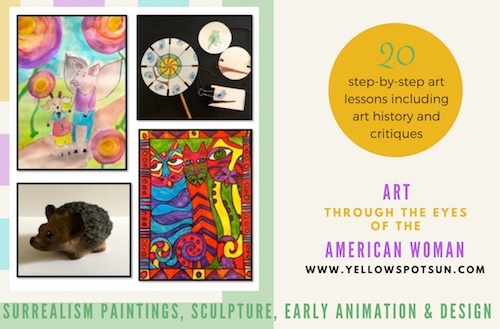 24 art lessons focusing on drawing and painting techniques inspired by the Seven Wonders of the Ancient World; history & discussion questions; practice with watercolors, soft pastels, charcoal, pen & ink; sketching practice; art elements. 6 week drawing course teaching: OiLS, Symmetry, One-Point Perspective, Upside Down Drawings, & Abstract (Op) Art. 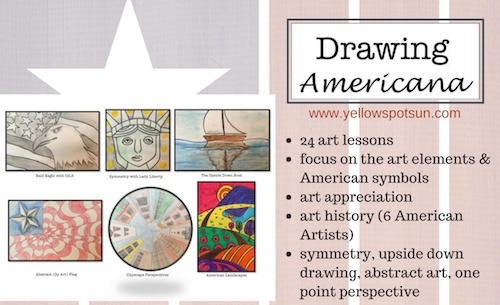 Study the life of 6 American artist (one per week) and learn to draw great American symbols. SINGLE FAMILY USE ONLY. 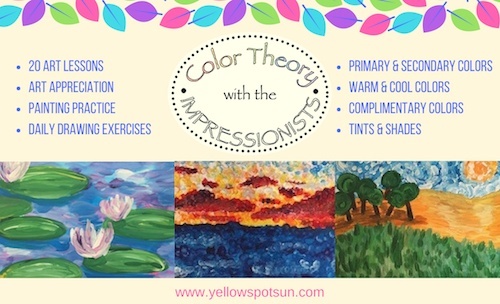 20 step-by-step painting and drawing lessons in the style of the Impressionist Artists; with how-to videos on stippling, blending, shading & cross-hatching. Color theory includes warm & cool colors, tints & shades and complimentary colors. Study the artwork of Kay Sage, Mary Blair, Laurel Burch & Nancy Graves. Art lessons on surrealism, sculpture, animation & design. 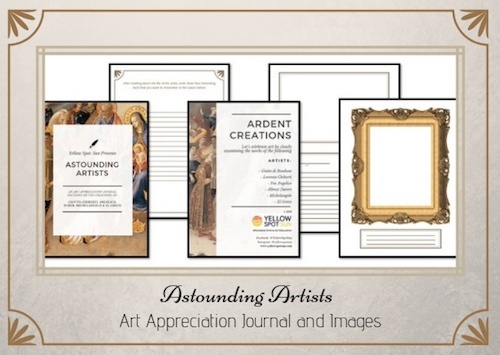 A beautiful 35+ page downloadable PDF art journal that includes images of artwork from Giotto, Ghiberti, Angelico, Durer, Michelangelo, and El Greco. Also includes 42 full page art images and 42 artist trading cards (all downloadable PDF's).